Johnny blew out the candle and cut the cake, with his mommy holding his tiny paws. It’s Johnny’s birthday party and he is celebrating with his near and dear ones. Pet parties are becoming quite common these days. We all want our pooch to have a blast on his special day. Why not throw a party to celebrate his achievements and share his happiness? Here are few tips to help you get the pawrty started. Invite the guests with uniquely designed invitation cards matching the theme of the event and that too designed by you. Paste a picture of your pooch on a colorful construction paper and write down his personal message for his barking buddies. It might take some time and effort to design the cards, but it is worth the effort considering the amount of fun you can have doing this. Else, you can just paste a digital photo of your pet on a word processor and type out his message under this. Print multiple copies of this document and voila, your invitation cards are ready. To give it a canine touch, you can even paste some doggy designs like paw prints on this card. Just get wacky and use your creativity while designing your cards. Add funk and spirit to the party by decorating the party space. Add doggie touch to the ambience by using paw printed fabrics or fabrics with Dalmatian dots for screens and table cloths. You can design such fabrics yourself by painting paws or simple dots on plain fabrics using fabric paints. Hang dog paintings or pictures on the wall. Cut out a bone shaped cardboard piece and tie it to the dining chairs. If you have an open space with a garden and hopefully a pool to add, your furry friends’ delight will be pawfect. Your furry guests will have a whole zipping across the garden and swimming in the pool. Just keep an eagle’s eye on all. A pooch party would be incomplete without yummy food for the doggie guests (and the two-legged guests) to gorge on. Make sure you buy and keep stock of mouth-watering doggie food and treats (and some good food for the pet parents as well). Pet shops are offering wide variety of nutritious and delicious dog food these days including treats for special occasions like cakes and muffins for our furry members. You can also prepare some goodies at home by referring to doggie recipe books. Treat hunt: Hide dog treats and let the dogs hunt for the treats. The dog who sniffs out maximum number of treats wins the game. Keep a time limit and hit the buzzer when the time is up. You will need some volunteers to keep an eye on each dog and decide upon the winner of this game. Toy collector: This is a team game with each team composed of the pet and pet parent. Each team would be given a bucket and some dog toys scattered on the floor. The pet parents have to get their pets to fetch the toys one by one, which they can drop in the bucket. The team that collects maximum number of toys in the bucket in a given time wins the game. I say! You do! : This game tests how well the dog understands his pet parent and how well-trained the dog is. Create teams of pets and their parents. Each pet parent has to get the pet to perform simple actions like ‘Standing’, ‘Sitting’, ‘Fetching the ball’, ‘Rolling on the ground’ etc. The dog who performs most of these actions correctly will be considered the winner. Fetching fido: This game can be played with a ball or a frisbee. The pet parents will throw a ball and ask their pets to fetch the ball. The pooch who fetches and hands over the ball to its owner first wins the game. Mutt ‘n’ music: This game is like musical chair. The pet parents walk their dogs while the music is playing and get the dogs to sit when the music stops. The dog who sits the last gets eliminated. The process continues until there is only one team left that wins the game. End the event by distributing awards to the four-legged guests. You can give awards like ‘The Prettiest Pooch’, ‘The Friendliest Dog’ and ‘The Most Mischievous Mutt’. Also announce the winners of the games and reward them with some gifts. 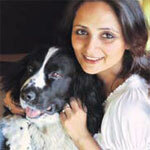 You can also give small return gifts to all the four-legged guests for making the event a rocking one. Gifts can be anything like dog toys, dog treats, collar, leash, feeding bowl, dog bed, grooming products like doggie shampoo or pet shop gift coupons. Use these ideas and come up with your own creative ideas to throw an awesome party for your pooch. You will be gifted in return with his priceless Bow Wows and loving licks. Pooches always have a peculiar way of finding ways into our hearts and homes. Even the bigwigs and celebrities are bitten by pooch love. The newest addition to the celeb dogs is undoubtedly Bo, who joins the line of US presidential dogs. For those who are unaware of Bo, let’s remind you that we are talking about the US President Barack Obama’s newest family member–Bo. This lovely dog has found a place in the White House, Oval office and all the media channels. Woof to Bo for his new family! But life is not all that rosy for all our canine friends. A reputed jeweler in Mumbai had four Great Danes and a German Shepherd to guard his jewellery store. But these pooches were ill-treated and two of the Great Danes were even left to die due to maggot wounds. A pathetic end for human’s best friends! Had it not been for an NGO, these dogs would have suffered a tragic end. It’s time that people who ill-treat their dogs get their share of punishment. Only then, people will stop ill-treating their canine friends. We, at D&P, have always tried to create awareness about our canine friends. If we all come together and raise our voices against such ill-treatment, we can definitely make a difference! This issue is packed with all the regular features but at the same time, we have also tried to give a fresh new look to the magazine. Do send us your feedback about the same. Also, do not forget to take a peek at our emagazine. So, anywhere you go, simply log on to www.dogsandpups.net/emagazine.htm and have your favourite magazine at a mouse-click. Sparkle is loving being techno-savvy and so are we…. http://www.dogsandpupsmagazine.com/wp-content/uploads/2017/05/1254nal.jpg 0 0 Dogs and pups Magazine http://www.dogsandpupsmagazine.com/wp-content/uploads/2017/05/1254nal.jpg Dogs and pups Magazine2009-05-20 00:00:002014-02-07 18:07:40Woof to the world! Training can be fun for both you and your dog. Teaching games is a part of ground training for agility. So, tighten your belts, pull up your socks and play with your pooch. Dog agility is a sport in which a handler directs a dog through an obstacle course in a race for both time and accuracy. Agility is totally based on communication and teamwork between handler and his dog. It is very important for handler to spend quality time in creating a bond with his dog in the initial stages of training. As a handler we have to find out what motivates our dog to work with us. Different dogs work for different things. Some may work for treats, while others love to play with toys. It’s called a ‘dog’s drive’. Some have a high toy drive, while others have high food drive. Tug-of-War: A good game of Tug-of-War with a rope toy or rope Kong can be very exciting and encouraging for any dog. Initially, we can use soft ropes to make it easier and comfortable for the dog to tug on it and to hold on to it. Once he learns how to pull it, we can slowly increase the pressure and/or increase the duration of the game. It’s also important to teach them to ‘leave’ the toy when asked. Let your dog win this game more often than you win it, to maintain that excitement throughout training session. Treats can be used to teach him to leave the toy when asked. Fetch: Dogs love to chase things and play with it. A good game of ‘Fetch’ with dog’s favourite toy can be very helpful in gearing him up before the training session. Different toys such as balls, flying discs, rings, kongs, squeaky toys can be used for fetching, depending on the dog’s preference. You can also develop a habit of using any particular toy only during training sessions as it becomes highly motivational for the dog. Toys used while training should be sturdy, compact and safe for dogs even during rough use. Bait Bag: This is a unique pouch designed specially for dogs who are equally motivated by food and toys. You can stuff this pouch with tasty treats and lock it. You can teach your dog to play ‘Tug of war’ or ‘Fetch’ with it and also use the treats while praising the dog. Teaching him to leave or give it back to you is a must as dogs tend to run away with it. Bait bag should be used carefully with food possessive dogs to avoid any accidents. Warm Up Sessions: A good short walk can be a great warm up for both handler and his dog. A short play session with his favourite toy helps him to focus on you and to build up his excitement. I like to use a particular phrase to get the dog started for a fun filled training session. Every time I say “Are you ready” to my dog, he knows what I mean and gets very excited. You can also ask your dog to speak couple of times, give HiFi or shake hands, do roll over, etc. Just do anything that your dog loves to do for you. Basic obedience: a must It’s a must to teach your dog some basic commands like Sit, Down, etc. This training always comes handy during agility course. Teaching a dog to Stay in either sit or down position also proves very useful. It’s very important to teach a “Release Command” to a dog to break the Stay position. You can use commands like “OK” or “Over” for such purpose. If the dog exactly knows when to stay and when to break it, handling him during agility course becomes easier and saves your time as well. Basic commands should only be used when required or else too much obedience can spoil the fun of agility. A quick recall can be very useful during agility course. You can use special treats just for recall while training your dog, so he learns to return to you faster when called. You can save a lot of time during the course with a good recall and it also helps to control your dog with distractions. If a handler spends enough time practicing this basic training with his dog, he can create a strong foundation for agility. It helps him create a bond with his dog and also helps the dog to communicate better with him during the course. Time required to teach and practice Basic Agility Training is different for every dog, depending on his breed, motivation, energy level, age and many more things. It’s definitely worth spending your time and effort for successful agility training. See we have started humming carols in advance…we are also smelling muffins and cakes, tapping our foot and dressing it all in red…that’s not all, we have something for our pooches too. All our celebrations are incomplete without our canine companions. So here D&P brings some tips to make this Christmas safer and merrier for our furry-friends, as always, like we celebrate responsible-pet-parenting all through the year… Here’s wishing you all happy pet parenting. Christmas is not all about red and white, there’s lot of green as well. Our pooches are quite excited about all decked up Christmas tree and other plants. The common yuletide plants such as poinsettias, mistletoe, ivy and holly berries are highly harmful to our four-legged champs, if they eat or swallow it… now you understand why we call red alert for greens…better take care. Ribbons, ornaments, candles, toys… it’s twinkling everywhere… it catches our pet fancy at once. The wrapping paper looks like good fun toy for them, but it can cause choking, upset stomach or more serious problems…God forbid. We celebrate…we dance, so do our canines. We can watch out for those loose ends of electric wires and plugs, but our pooches cannot. So tie up all loose electrical cords of lights and keep them concealed. Festivity is incomplete without fun ‘n’ frolic, but for foody furry friends, precautions are always better than cure. Do not give them leftovers and make sure they are not munching on excessive chocolates and sweets, given by kids, friends or family to express extra love and care. The preservatives we use to keep our live decoration plantation fresh can be deadly for our pets…so always cover the tree bases with foil. Spray some non-appealing substances like bitter apple, cinnamon, lemon, eucalyptus etc in the water basin and also on the lower branches of the tree. http://www.dogsandpupsmagazine.com/wp-content/uploads/2007/11/Untitled-1-copy.jpg 131 244 Dogs and pups Magazine http://www.dogsandpupsmagazine.com/wp-content/uploads/2017/05/1254nal.jpg Dogs and pups Magazine2007-11-20 00:00:002017-04-12 00:09:07Woof wishes... Merry Christmas! Ymm! Ymm! Yummy… let’s satiate our pooches taste buds with delectable delicacies. The crunchy treats, hot ‘n’ spicy chicken, mouthwatering recipes…all will definitely leave your pooch asking for more. So unfold your apron and dust your cooking cap, barge into the kitchen and… our smart readers know it all. Yes! Let’s be a pooch-chef. then cut into your treat sizes. Boil chicken, oats and French beans, and mix them well with rice. Serve it hot to your pooch’s delight. HOMECARE Dog Food provides specially-formulated, nutrient-enriched fresh pet food in Mumbai. An idea conceptualized by two brothers Kashiff and Wasiff Khan. Started in 2003, these Dabbas delight a lot of pooches. To pamper and treat your doggie, call 919820803330. Hey guys, remember me? I am Sparkle and some time back, I promised to share my most memorable experience with my family. And here it goes… One day when I woke up, I was a bit sad to see those dreadful bags again, bags with which sometimes my mom disappears and sometimes my dad. This time, I wondered who will be away? I saw excitement in the house. There was a flurry of activities and surprisingly, I saw that my stuff was being packed too. Their excitement got the better of me and I ran all around the house. Next morning, to my utter surprise and amazement, I was woken up at 5 in the morning (my family is a late starter and wake up only after 7). I was excited and thought that something good is going to happen and I got it – my folks were going out and the best part of it was that I was going too. We took a small walk before settling in the car. I had the backseat of the car all to myself and my mom and dad settled in the frontseat. Our journey started at 6 am and something inside me churned and told me that I was going to have a whale of time and I was right. After a few hours, we stopped to eat something and there, for the first time in my life, I saw a pair of waddling feet in the pond, which I later learnt belonged to a duck. To my utter amazement, I saw the biggest garden I had ever seen with scurrying bunnies – I really wanted to chase them but was strictly advised by my mom not to. I felt I was in heaven and was curious to know what other surprises lay ahead of me. It seemed like a long drive but I enjoyed every bit of it – I would snooze, then wake, we would stop for a short time, I would stretch my legs and sniff all the new smells. It was just wonderful! My head was buzzing with smells of all kinds. Then, we started on winding tracks, the weather became cool and we rolled down our windows to immerse ourselves in those serene and lovely surroundings. Boy, wasn’t that amazing- the fresh mountain smell- a far cry from what we get in cities. I could feel the rain and I could even see the clouds rolling in. I had the urge to jump out and run to my heart’s content – but the car did not stop. Maybe there was much more in store for me! A short while later, we reached our destination and lo and behold, I saw my dream location. I was not aware that such a place existed. After completing the formalities for checking-in, we went to our log hut – and it sure was awesome – the best part was it had a garden right in front. As soon as we kept our luggage inside, I wanted to dash out and play in the greens. The scenic beauty was marvellous – the birds, the squirrels, the flowers, not to mention mud and all those smells drove me wild with joy – I had never spent an afternoon in total madness and that was just too good. I ran to my heart’s content, playing ball and catch and catch, not to forget fetch with my folks. We also went for a long walk in the wood and I saw a stream on the way too. I felt important and pampered. It was a great feeling! I didn’t wanted to sleep and my parents were very surprised. After romping around, we came back and settled in our room for a lil’ nap. I was too happy to sleep – I just sat by the glass window and gazed out thinking God has given us a beautiful world. The evening was even better. Suddenly, the lights went off and it was pitch dark. Luckily, we were at our hut. Somebody approached us with a flash light in hand, my guarding instincts came alive and I warned him to stay away from me and my family. My mom stroked me gently and told me that he was the night watchman and he had come to put on the generator. That calmed me down. After that, we ate verociously and went to sleep, tired but extremely happy. The second day dawned and my expedition began right after breakfast. I walked and romped all over, digging and running. And then I heard a debate going on among my parents. It focused on should we or should we not take Sparkle. Luckily, the decision was in my favour and you won’t believe it, I went for BOATING, something I had never imagined. That one-hour ride on the boat made my day – the clouds rolled in – I sniffed the mountain air. I could not get over the glassy effect of the water and kept gazing and thinking, “Lord, please give me more such holidays.” After the boat ride, it was time to catch the driftwood and I had my first experience with my paw in the lake. The first time I put my paw on the lake, I felt that the surface was not like the normal earth. I kept pedalling to check where the ground was and then I saw my mom diving right in and calling me to join her. Lil’ did she realise that she is tall and I am short! My sixth sense warned me not to follow her. But, I did not miss the fun and went in till I was submerged half in water and tried to catch the wood with its peculiar taste, smell and feel. It was simply mind-blowing. The resort itself was really great and the staff was very friendly and happy to have me as their guest. I got the same treatment as my mom and dad. I was even allowed at the restaurant. I wish I can go there again, and also wish that everyone should take their lil’ darlings too to this amazing place. But as they say that all good things come to an end so did my trip and after two days we were on our way back. On reaching back home, I was a lil’ sad and quiet – my folks were worried about me. They gifted me two days of enjoyment and coming back to normal life meant end of fun. As if reading my thoughts, my mom assured me that they will take me again sometime later and even promised me more holidays at new destinations. I willbe too happy to share my new experiences with you. So take care and bon voyage to you all………….Woof!